Ukrainian President Petro Poroshenko backs the introduction of incentives for the creation of incubators, including in the sphere of designing IT products. "Undoubtedly, we will introduce incentives in both taxation and the creation of incubators, including for IT business," Poroshenko said during a talk with the youth during his trip to Vinnytsia on Saturday. He said that the incubator is not only the production of refrigerators or other equipment, it is also the production of IT business. "And if there are rooms, computers and access to networks here, I think that those who want [to do something] they cannot be stopped. I am sure that our computer startups will not be stopped," the president said. 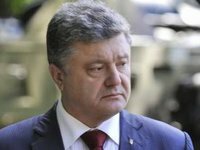 Poroshenko recalled that when he became president, he did not even have a computer in his office "for security reasons," and now the government switched to the e-government, to the ProZorro electronic procurement system and to e-declarations. "And your work is needed there," the president said. "And if there are concrete steps regarding state support, I am open to this, and we will resolutely do these changes," Poroshenko said.